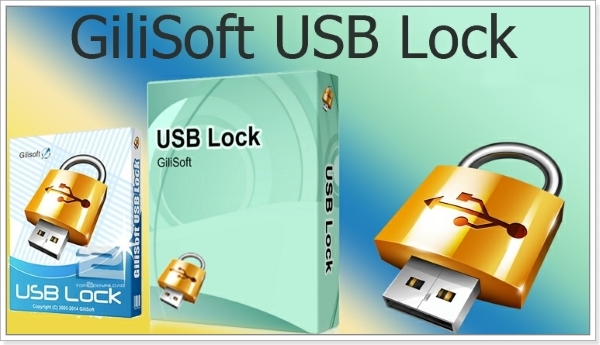 GiliSoft USB Lock - это мощное и очень надёжное приложение, которое способно заблокировать USB порт, блокировать некоторые веб-сайты, сделать CD/DVD привод "только для чтения", запретить запуск некоторых программ и отключить несколько устройств. • Отключить чтение / запись с USB. • Отключить чтение / запись CD или DVD. • Блокировка доступа к указанным веб-сайтам. • Блокировка запуска указанных программ. • Отключить принтер, модем, порты - COM/LPT, инфракрасный порт, Bluetooth. • Если пользователь вводит неправильный пароль более чем в 5 раз, программа пошлет сигнал тревоги (уведомление) по электронной почте. • Очень простая в использовании программа с дружественным интерфейсом. • Полностью поддерживает Intel ® Pentium D Dual-Core и AMD Athlon ™ 64X2 Dual-CoreProcessor. • Disable reading from USB disks or disable writing to USB disks.USB Lock doesn’t allow any type of USB drive to access your computer unless you authorize it. By default, all types of USB drives are blocked including external drives, FireWire, Enhanced mini-USB, Host Controller Interface (HCI), HP-IL, Com, LPT, IrDA, USB on-the-go, U3, EHCI, RAID Controller, Host adapter, Serial Cable (use with data transfer), Serial ATA, ACCESS.bus and any storage device that is attached to USB port showing a drive in the system. • Disable reading from DVD/CD discs or making DVD/CD burner read-only.The application also blocks any disc that uses the disk hub, bay, combo or CD/DVD drive and allots a drive letter, for example; CD-R, CD-RW, CD-RAM, DVD-R, DVD-RW, DVD-RAM, HD-R, HD-RW, HD-RAM, Blu Ray-R, Blu Ray-RW, Blu Ray-RAM, Floppy Disk A, Floppy Disk B and Zip Drives. • Block accessing some websites. This utility allows you to block unwanted websites from display in Internet Explorer. If a website is blocked the user is forwarded to a blank page or to a "blocked page" and the contents of the original page are not loaded on your PC. Stop loading banners and ads, stop your kids from spending hours in chat rooms or remove undesired websites from their view. Prevent your children from having access to certain websites content such as adult sites and gambling. 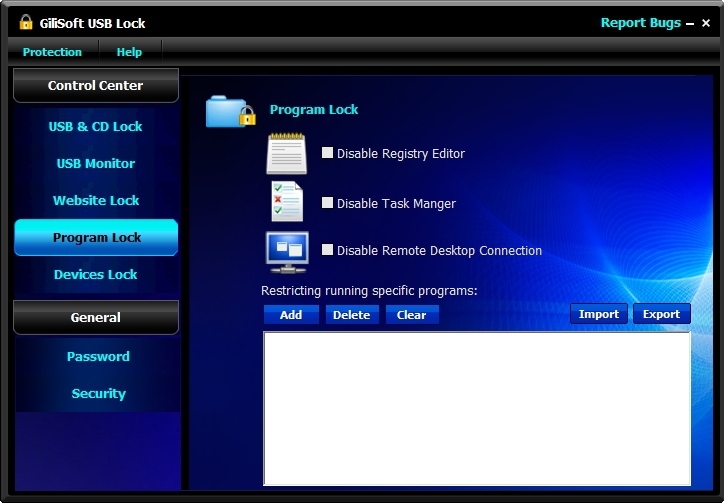 • The program can be used to restrict read or write access to removable media devices such as CD, DVD, floppy, flash and USB drives.It also can be used to disable printer,moderm,com lpt ports,infrared,bluetooth,1394 ports. • If user enters wrong password more than 5 times,it will send alarm notifications to your e-mail . 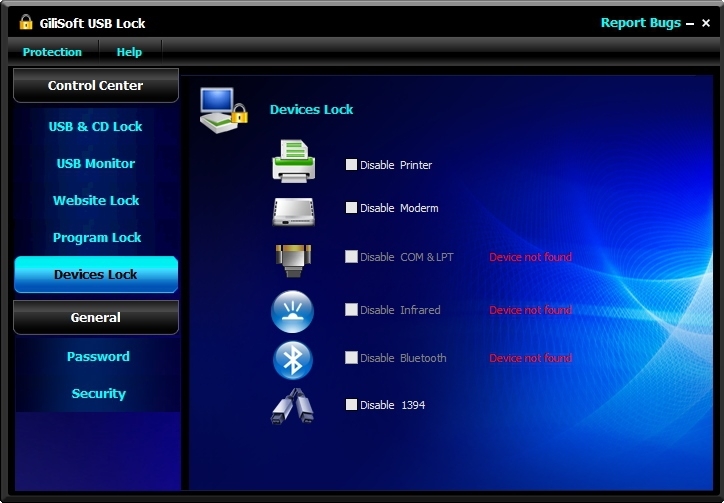 • USB Lock is a data leak prevention software. It prevents your data from getting leaked out to USB drives and other such storage devices by letting you control which device can access your computer while blocking all other unauthorized devices that do not belong to you. With USB Lock installed on your computer, you can feel safe that your data will remain on your PC safe and secure. * Add Reports & Logs.